Grosso lavender, also know as Lavandin or French lavender, has aromatherapy uses similar to true lavender but it is more penetrating. 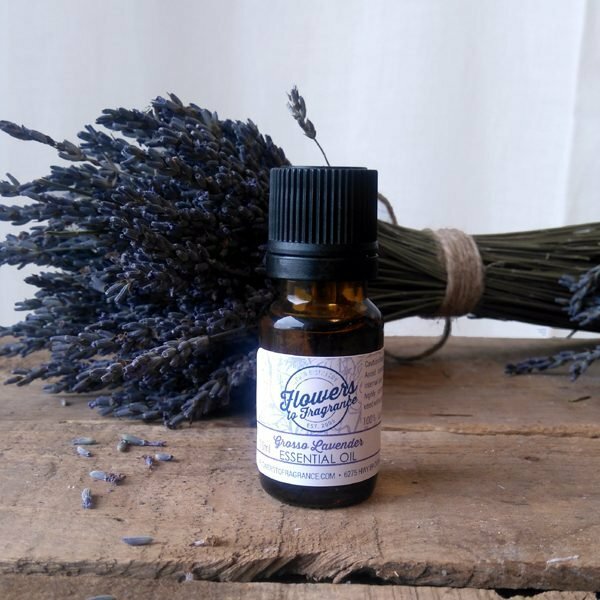 It has a stronger scent than Lavandula angustifolia (true lavender or English lavender) more pungent with a slightly different note, herbaceous aroma that is still soothing and refreshing. It is considered beneficial for inflammation, respiratory and circulatory conditions. Believed to be one of the safest to use on the skin. Lavender essential oil has properties that are cleansing, purifying, sterilizing, uplifting, anti-depressing, anti-rheumatic, reduces inflammation, protects against infection, relieves stress, soothes mind and body, decongestant, natural deodorant, relaxes, calms, tones and revitalizes all skin types, detoxifies and promotes sleep.